This article will show you exactly where to buy wholesale t-shirts in Australia and where to get them screen printed professionally. When it comes to t-shirts, 24 Hour Merchandise deal with quality brands such as; Gildan, AS Colour, Fruit of the Loom, Ramo Collection, Hanes, Quoz and Sportage. Are you looking for someone that sells affordable t-shirts in Australia? Look no further because you may not know it, but this website you’re on right now, is one step away from a complete one-stop shop for everything to do with screen printing and embroidery. We do it all and we make it happen! Here at 24 Hour T-shirts we pride ourselves on being industry leaders since 1983. 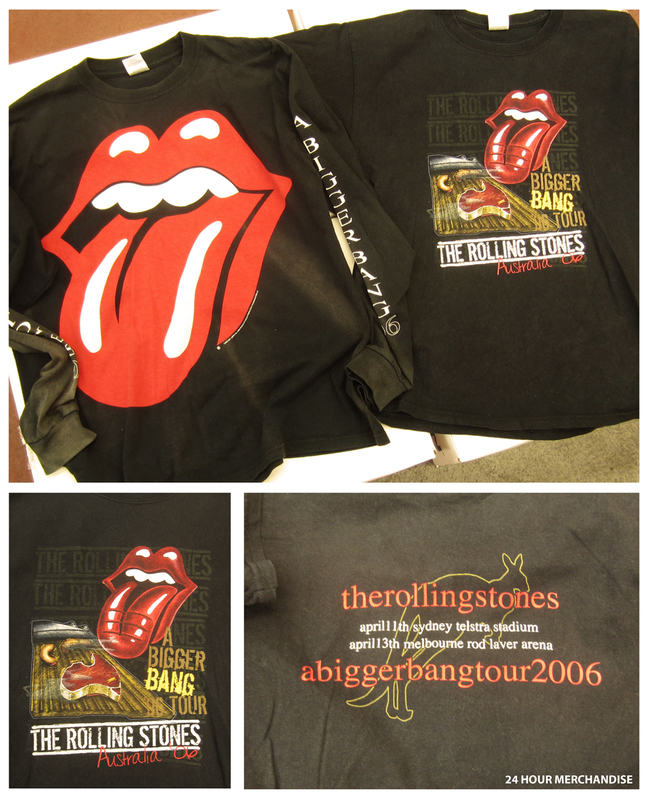 In the past we have printed merchandise for huge companies and we have also printed t-shirts for The Rolling Stones plus many other huge acts. Our in-house screen printer produces top notch silk screen prints. Finding affordable retail quality t-shirts in Sydney can be a challenge, so why not take advantage of your 30+ years experience and get it right from the start. You may also have landed here in search for wholesale blank t-shirts. If so then please check out our trusted friends that sell wholesale blank t-shirts in Sydney. Could you please send me through the Anvil range link? Many thanks for you assistance – you have been very helpful! ← How do you spell t-shirt?